With input and insight from city and community leaders, health experts, urban planners and affected families, KaBOOM! has created this toolkit – the Play Everywhere Playbook. Playworld has partnered with national non-profit KaBOOM!, the experts in community-built playgrounds, to build thousands of play spaces in the communities that need them the most. But these community build efforts do more than save money or deliver great play solutions—they instill a sense of ownership and pride that revitalizes neighborhoods. Our shared mission is to put a playground within walking distance of every child. Since 1999, we've helped thousands of communities rally around the power of play. KaBOOM! is determined to make every city playable! They hold the Play Everywhere Challenge, which awards cities with funding to make their playable designs and improvements come to life. The Map of Play is a quick and easy way to find and rate playgrounds near you. Don't see your favorite? You can add playgrounds, parks, sports fields, and any other great place to play in your community. 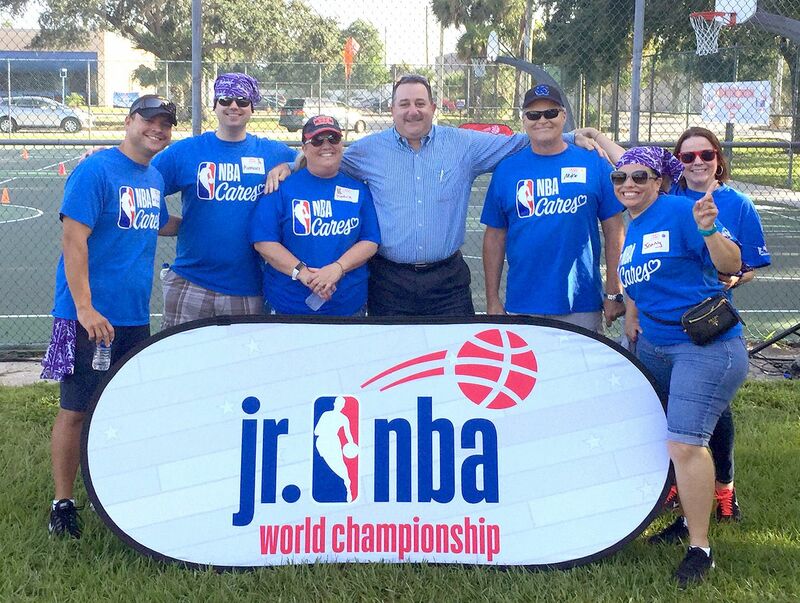 We partner with a variety of industry experts, government agencies, and non-profits to make it easier for you to bring play to your community. Check out our full list of partners, or contact your local Playworld representative to learn more. This was the first KaBOOM! playground youth helped build. 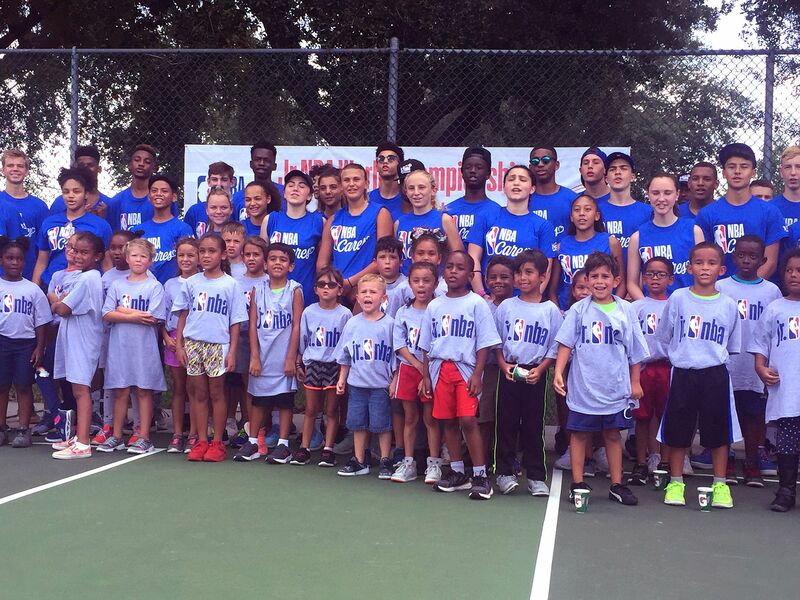 More than 300 Jr. NBA players competing in the tournament, as well as former NBA and WNBA players and local officials, pitched in to paint, landscape, and spread mulch. 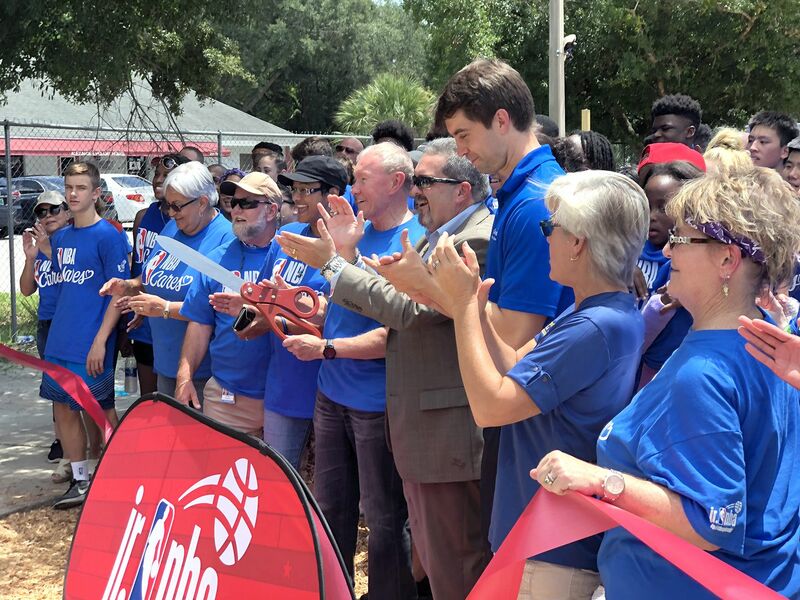 The inaugural Jr. NBA World Championship features boys’ and girls’ divisions, each comprised of 16 regional champions (eight U.S. teams and eight international teams) with teams competing at ESPN Wide World of Sports Complex from August 7-12.